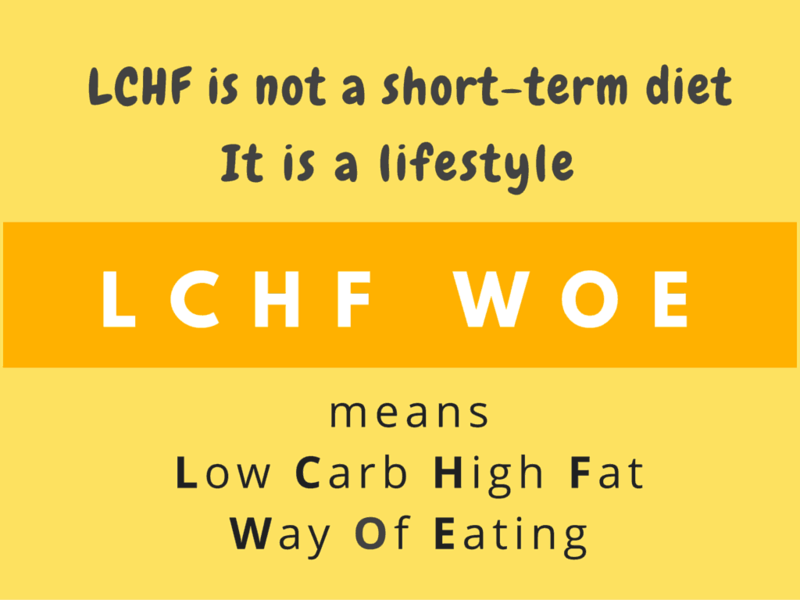 Read Dr. Jay Wortman about how LCHF could be a possible solution for arthritis and Chron’s disease, apart from weight loss. When we eat, we are satisfied. Our body is satiated. We’re not consciously stopping ourselves from over-eating (like the low-fat/low-cal dieters), because our body itself tells us when to stop eating. We do not feel have energy highs-and-lows (that high-carb food gives to people). We also don’t feel drowsy (mental fogging) after a meal. We don’t feel hungry within 3 hours of eating. We have stable levels of energy through the day; no post-lunch energy slumps and brain fogs. We spend less time eating. We spend less time cooking. We spend less time thinking about food. We spend very less time fighting food temptations. Our will-power is NOT used to fight against food temptations, but for other mind battles. Food is not a mental issue anymore, it’s about our physiology. We do not have cravings for any particular type of food, definitely not for the starchy, sugary, floury foods. We don’t have to plan outings based on food, because we can easily can go for 8 hours or more without food. No heartburns or indigestion problems! No Digene, Gelusil and Eno! When we avoid high-carb foods, it’s not out of willpower or fear, but the mere knowledge of how unhealthy it is, and a mindfulness towards the consequences – stomach discomfort, belching, disturbed sleep or a sugar-hangover. We realise that we need lesser time of sleep than before, because when we sleep, we sleep well. We have no joint pain. Joints feel smoother and well-lubricated. We eat tasty, good food. My partner no longer snores. Skin tags (maru/மரு) have become smaller or disappeared all together. Grossness ALERT – No gas problems. We fart less… like 10% of what we used to previously. *’Functions’ means ‘Events’. In India, we’re used to calling them functions.